Never ever try to pop a pimple on your face, especially if it is in the danger triangle of the face (explained below). A moderately stout man of 20, scratched the head off a pimple on his lip six days before admission to the hospital and died 36 hours after admission. Recent example of a serious problem caused due to popping of a single pimple. 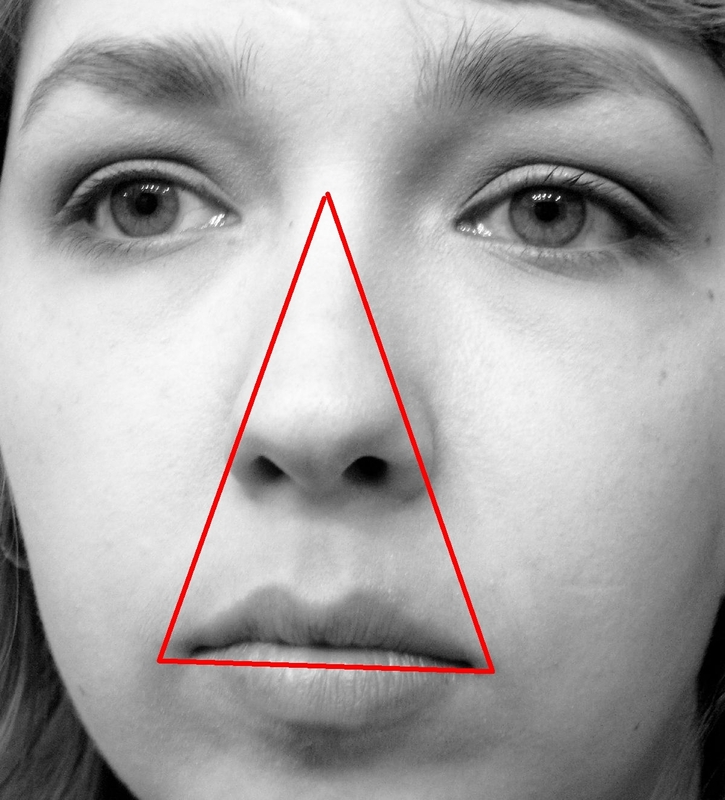 The danger area: The danger triangle is sort of a triangle, more of a rectangle on your face which covers the eyes (and eyebrows), the nose and the upper lip. The diagram is not completely accurate. Pimples in this area of the face should be left untouched. Why? This area of the face covers something called the Cavernous sinus. In simple words, it is a cavity at the base of the brain which drains deoxygenated blood from the brain back to the heart. Unfortunately, the facial veins which circulate blood to the danger part of the face can drain blood directly drain into this cavity, the same cavity which has a direct access to the brain. Also, since there are no check valves, the blood can flow in any direction in these parts. Now, if pimples are popped, the bacteria from these pimples can flow back and ultimately reach the brain. Imagine noxious pus flowing into your brain. That’d definitely be dangerous. But it is highly unlikely. Still, there is a chance. Be careful. Don’t use your hands to pop pimples. Leave them alone.